A consignment of aid shipped by the UN World Food Programme (WFP) through Eritrea’s main port this month was the first in a decade and the latest sign of Asmara trying to rebuild ties with the outside world, diplomats said. It was also a test of the under-used Eritrean port as an alternative to the congested facilities in neighboring Djibouti, which has been used to supply aid to South Sudan and Yemen on the other side of the Red Sea. “We are encouraging continued and expanded engagement of Eritrea and the U.N,” said another Western diplomat in Asmara. South Sudan turning its face towards Eritrea? Asmara, 24 June 2016 – Eritrea and the Republic of South Sudan signed an aviation agreement Today, 24 June. The agreement is aimed at expanding the direct air flight service to and from the two countries. Mr. Paulos Kahsai, the Director General of the Eritrean Civil Aviation Authority, and Mr. Stephen Rombe, Director of Aviation Safety and Operation in Civil Aviation Authority of the Republic of South Sudan signed the agreement on behalf of their respective countries. Mr. Paulos Kahsai pointed out that the air flight agreement is aimed at strengthening the existing strong relations between the two countries. According to the Eritrean Civil Aviation, the South Sudan Airways “The Golden Wings” is conducting cargo flights to and from Asmara- Juba once per week. let them starving now.it was their foult not mine.The mean thing I see here is when Weyane Heard about this news they are dead. I have no doubt this shipment is going to starving people in Tigray. I agree 100% with you. It’s just they don’t want to embarrass the poodle Weyane. Food supplies flowing to Ethiopia during the country’s growing hunger crisis are meeting a major challenge: they can’t get to people fast enough. Ethiopia is doubling its wheat purchases after the harshest drought in half a century, causing bottlenecks of ships at the country’s main port in neighboring Djibouti. At least 10 vessels are waiting to unload about 450,000 metric tons of wheat, according to information on the port’s website and ship-tracking data on Bloomberg. One carrying 50,000 tons of wheat and sorghum is berthed. Ethiopia, sub-Saharan Africa’s biggest wheat consumer, is grappling with a growing food problem as the lack of rain erodes harvests of everything from sorghum to wheat, forcing the country to launch international tenders. Droughts in the country have become more frequent and severe in the past decade, and the effects from El Nino weather patterns have wreaked havoc across many parts of Africa. It takes about 40 days to unload ships carrying grain, which is used to feed people in Ethiopia’s urban centers, according to Save the Children. In total, it can take around 120 days to purchase and transport food into the country through Djibouti, the British charity said in a February report. In Ethiopia, among the world’s poorest countries, the number of people living with hunger has more than doubled since August to more than 10 million, according to the United Nations Food & Agriculture Organization. The number is higher when you add the 7.9 million supported by a government safety-net program. There are expected to be at least 450,000 severely malnourished Ethiopians this year, according to Save the Children. In October, Ethiopia sought 1 million tons of wheat, more than it bought last season, according to estimates by the U.S. Department of Agriculture. Another tender for almost 500,000 tons will close on Friday. The Carly Manx vessel, scheduled to arrive at the port on Feb. 22, is only now berthed. The Ince Beylerbeyi, initially set to reach the port on Feb. 19, is still waiting to unload 54,250 tons of wheat. 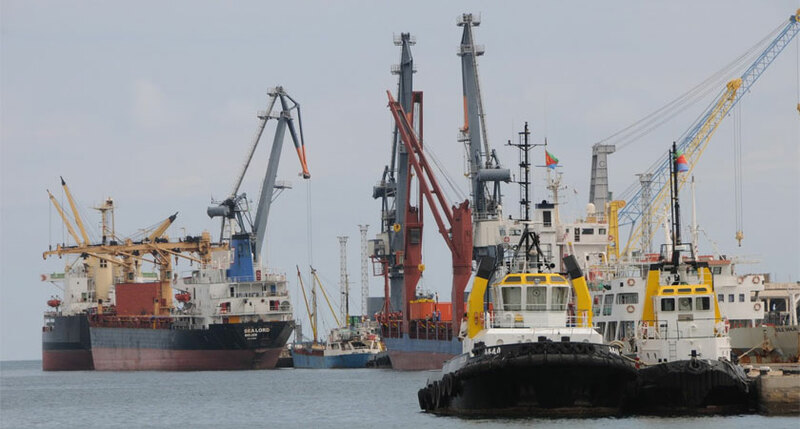 Further purchases in the tender may add to long waiting times at the port of Djibouti, which land-locked Ethiopia uses to bring in supplies. Imports will jump to 2.5 million tons in the season ending in September, up from 900,000 tons a year earlier, the USDA estimates. The government is adding trucks, and building distribution points and temporary warehouses to meet monthly food delivery targets, Mitiku said. The operation is also being delayed by regular government assessments of who the most needy are, Save the Children’s Graham said. This path looks like the Dedebit Shortest Distance Theorem between Massawa and Mekele. hahaha…You got them red handed! Do they think they will get away with such white lie? I don’t know for how long they will support the clique at the expense of the Ethiopian people? I don’t know who your diplomatic sources in Asmara are, but regardless, if you had sources or not, it is completely wrong to say “… the latest sign of Asmara trying to rebuild ties with the outside world” when you said in your statement , “A consignment of aid shipped by the UN World Food Programme (WFP) through Eritrea’s main port this month was the first in a decade and the latest sign of Asmara trying to rebuild ties with the outside world, diplomats said. You should be able to verify that the government of Eritrea has recently (& even during the 1998-2000 Ethiopian Eritrean war), has publicly accepted Eritrea’s willing the passage of international AID to help the starving people of Ethiopia using the port of Assab. It is a big blows up and surprise to the minority Tigrayans. they were continuously protecting every request of international community to use Eritrean ports for immediate foods and supplements assistance on rescue mission of millions lives because their priority as govt is to block any Eritrean income from port service not on saving millions people. this time UN aids got them so good!!! On June 24, 2016, the Executive Board of the International Monetary fund (IMF) was briefed on economic developments in Eritrea, whose Article IV consultation is delayed by 64 months. Informal sessions to brief the Board based on information available are held approximately every 12 months for members whose Article IV consultations are delayed by more than 18 months. I don’t see why some Eritreans have a problem with receiving loans/aid/grants. Provided they go into the hands of a decent government, and the interest rates aren’t too high, they are a good way to raise capital to start projects. The Asian Tigers used them successfully. If you read this book, you might change idea dear Sailor Pluto. When you are in debt to the IMF or take a loan from the IMF they say the only way they can ensure the security of the money they gave you is basically by asking for a percentage of governance. sometimes they run your economy other times its your nations politics. Dubai world should come to Massawa! The infrastructure in terms of warehouse and energy is ready all that is left is the free zone rule and regulaion as well expanding the port and the vast amount of energy required come come come! I think the GOE should lobby the British to have strong economic ties with Eritrea. The GOE should also lobby the British business class to invest in Eritrea. It is an opportune time to do so. The Eritrean embassy in London should be staffed with business savoy people. The British seem to change their bad attitude towards Eritrea. I don’t know when are these commentators going to stop calling names? It is not bad gustier to work together with our neighbors including our enemies. we can’t afford having enemies for ever. we needs to let it go the abomination to others. Sometimes yes it is hard pill to swallow, but we need to exercise our self for the better future of the coming generation. Eritrea today is an oasis of peace, inspite of relentless campaigns by the most powerful entities hell bent on destroyng its very existence as a sovereign nation. Thanks to the tried and tested GOBBYE methodology.